Mondays With Megan-So Much Summer Reading and Recommend A…#6 | YA? Why Not? This entry was posted in Book Lists, Mondays with Megan and tagged bloody jack, favorites, It's Monday! 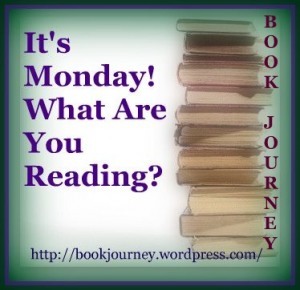 What Are You Reading?, mortal instruments, Ranger's Apprentice, Recommend A..., tana french. Bookmark the permalink. So Sapphire Blue was good? I can’t decide if I want to read it or not. I liked Ruby Red but didn’t exactly LOVE it. I really want to read My Friend Dahmer. I’ll be interested to hear what you think of Amelia Anne is Dead and Gone. Still haven’t ordered that one for my library yet. I really *must* read Maggie Quinn, Ranger’s Apprentice, and Bloody Jack. I’ve heard such good things! My favorite series is Megan Whalen Turner’s The Queen’s Thief books! Amelia Anne has been on my TBR pile so I will wait until I read your review before I proceed. I hate spending my time on books that aren’t top notch when there are so many others out there that I should be reading. Great picks, Maggie Quinn: Girl vs Evil looks really interesting. So did you like the Justin Halperin book?? I’ve wanted to pick it up, I just haven’t yet. That King book is massive. I got it for my dad for Father’s Day and he just got around to starting it.